Once activity is minimal APCS recommends sealing off any possible entry points. Voles reproduce quickly. The quickest way to get rid of them is by terminating them. However there are repellent options as well. Do you think you might have voles? Trapping and removing squirrels is the only recommendation APCS has for squirrels. Take care of your squirrel infestation before they chew through their way into your home. Lost cat or dog? You can contact your city or county animal control here. If you are being plagued by one or more nuisance animals, you want them gone. Removing these animals is the best course of action to protect your family and your property, and Animal Pest Control Specialist can do it for you. We work quickly, effectively, and humanely to remove your nuisance animals. We are your preferred Denver Pest Control company. When you have one of these types of pests in your home, don’t call an urban pest company—nuisance wildlife is just a sidelight for them, and you don’t know how their technicians are trained in handling these animals. We have experience handling all types of nuisance wildlife. Call us during business hours at the numbers above or email us to explain your problem. And many more. 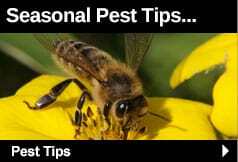 Read about some of on our Pests pages, or call us to see how we can help you. All our traps are approved by the United Sates Humane Society and the Colorado Division of Wildlife. We specialize in humane live trapping for nuisance wildlife, but we offer a full range of pest control services. In many cases, pest control depends on more than just catching the animal. We can help you understand the habits of your pest animals in order to make your home less attractive to them. This will reduce the likelihood they will return. We can help you identify what brings nuisance wildlife to your home, show you the entry points they likely used, tin patch areas where we placed traps, and direct you to further repairs that will keep these animals out. More features at this essay professional writing service. Personal write my essay for me source to click it now, and go further with the essay writing service now. We also understand the legal dimension of pest control. 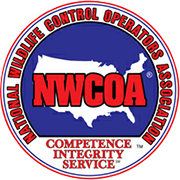 We are licensed by the Colorado Division of Wildlife and the Colorado Department of Agriculture, and have all the required state and federal permits for general pest control. We also know when a special permit is needed to handle certain pests and can obtain it as part of handling your problem. Don’t tolerate an unwelcome house guest. For the benefit of your family and your home, get rid of them as soon as possible. 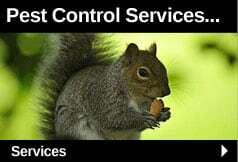 Contact Animal & Pest Control Specialist, Inc. today. 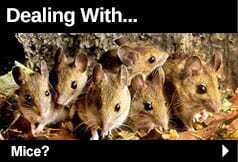 Have a pest or animal problem? Let us help! Mice can contaminate food-preperation areas with their feces and can cause severe damage to structures. Here are the signs you should be looking for to identify new pest problems this season. We offer all the pest control services you need, including prevention, removal, and extermination. It’s hard to understand the value we offer until you’ve tried us. Our discount makes it easier for new customers to get the best value in pest control.